The tulip picture I posted the other day was taken of a multi-coloured bouquet for a friend turning thirty. 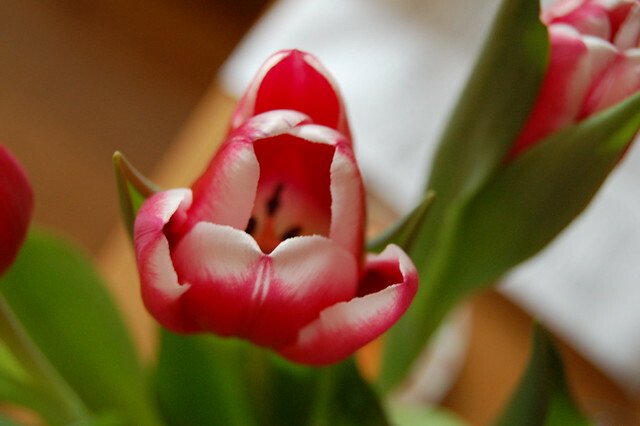 This pink tulip, with a white border and black middle, I bought just for me! One of the best things about winter and snow is that you are allowed to buy flowers for yourself to cheer you up. Thank you to everyone for posting such nice comments! I read them all and love getting em’! Specially to Kathy and her visitors and Jen! You too help cheer me up today. 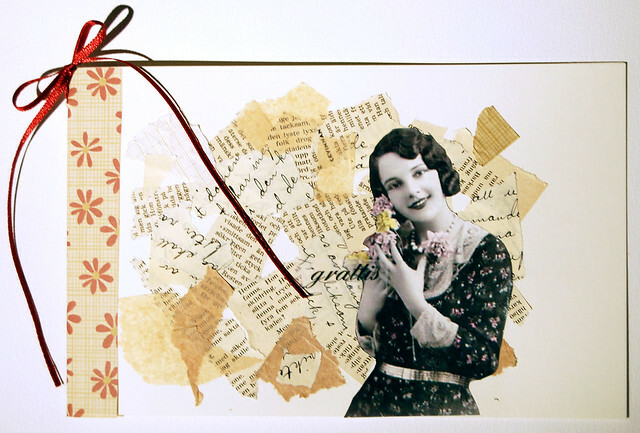 This entry was posted in Paper Crafting and tagged cardmaking, vintage. Bookmark the permalink.